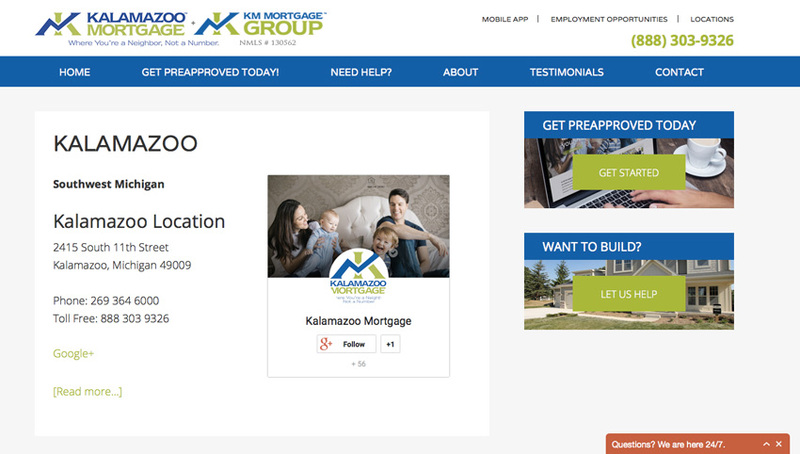 When we came on board, the Kalamazoo Mortgage website was on its last legs. The site was confusing and looked outdated thanks to a mortgage-specific website platform that hadn’t been updated since the mid-2000s. We initially gave the existing site a facelift by designing a custom header graphic, cleaning up the content, and building in stronger calls to action. But within a few months, it was obvious the site needed to be completely redesigned to portray the quality of the company. Make it easy to add new locations and new team members—the company is rapidly expanding. Build in a strong “Get Preapproved Today” call to action. Give the visitor a feeling of comfort and authenticity. Build trust. Follow strict guidelines for legal compliance. 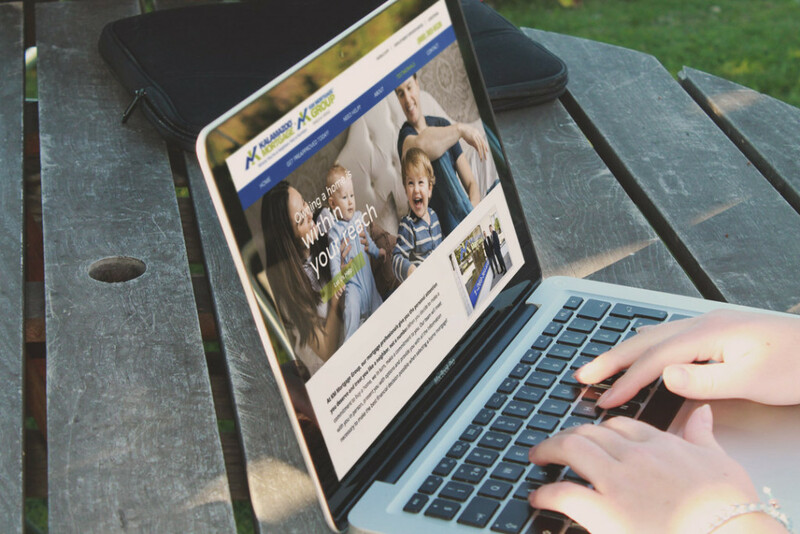 After a few months of collaboration, the new Kalamazoo Mortgage website turned out bright, clean, and inviting. The main photos show real, relatable people instead of perfect “stock” families. 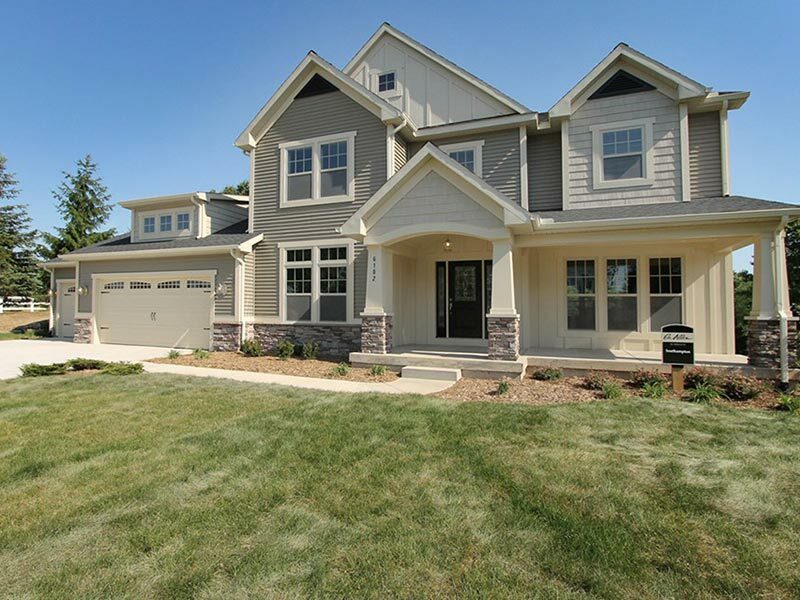 The site builds an emotional connection to buying a new home. The home page encourages the viewer to scroll. The visitor can gain a lot of information about the company without making a single click. Beyond the home page, layers of helpful information guide a new homebuyer through the buying process. 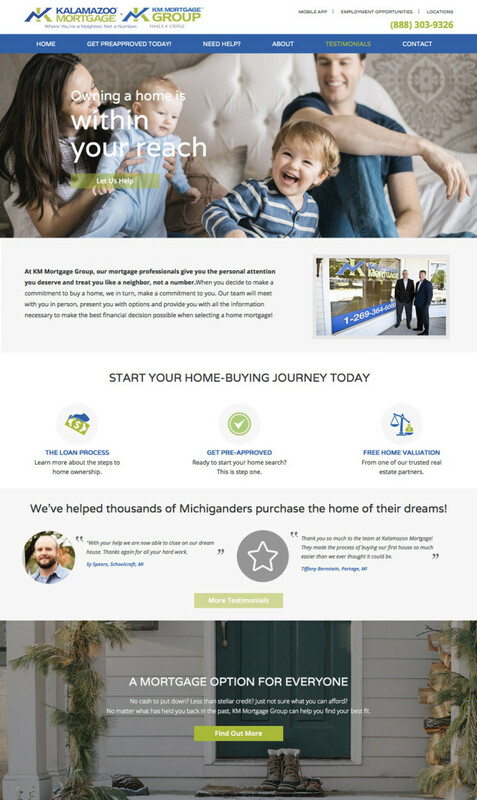 11Web’s copywriter interviewed the Kalamazoo Mortgage team and carefully crafted content for the Programs, Credit Enrichment Program, Game Plan, and Preferred Partners pages. The Locations page provides information about each Kalamazoo Mortgage office (and Google+ verification). The Testimonials page creatively integrates the same testimonials used on the home page. We’re thrilled with the sharp new look for Kalamazoo Mortgage. 11Web continues to work with the KM team ongoing to shape the site as the business rapidly grows and changes. Just one example of our Kalamazoo web design work!